Cooking can be challenging especially when the language is not the same. The recipe may be in English, but if you are an American reading a recipe from Canada, the measurements may be in milliliters and the recipe might ask for you to set your oven to 200 C. There is a big difference between 200 C and 200 F.
You can quite simply figure out the conversions on your own if you have a calculator. Or, you can Google it. Learn how you can make conversions between American standards for measurements, compared to the metric system and imperial measures (U.K.). You too can find out the equivalents between ounces and grams and milliliters, cups to milliliters and ounces, and Celsius to Fahrenheit. Use this chart—along with your calculator—to precisely convert from the U.S. and imperial to metric measurements. This will give you precise figures. To convert from metric to U.S. and imperial, work from right to left and replace the "multiply by" with "divide by." These conversions are not as precise as if you used the conversion calculator, but these measurements are rounded and fairly accurate. These equivalents are sufficient when you use them in cooking. To convert Fahrenheit to Celsius, subtract 32, multiply by 5, and then divide by 9. To convert Celsius to Fahrenheit, multiply by 9, divide by 5, and then add 32. See the table below for some common temperature equivalents used in cooking and food storage. Fluid ounces marked on the outside of the liquid measuring cups are not necessarily the same as weighted ounces. Fluid ounces are a measurement of volume while ounces can also be a measure of weight. To measure liquids, you should always use liquid measuring cups and spoons. Liquid measuring cups are usually glass or plastic, and most have a spout for pouring. 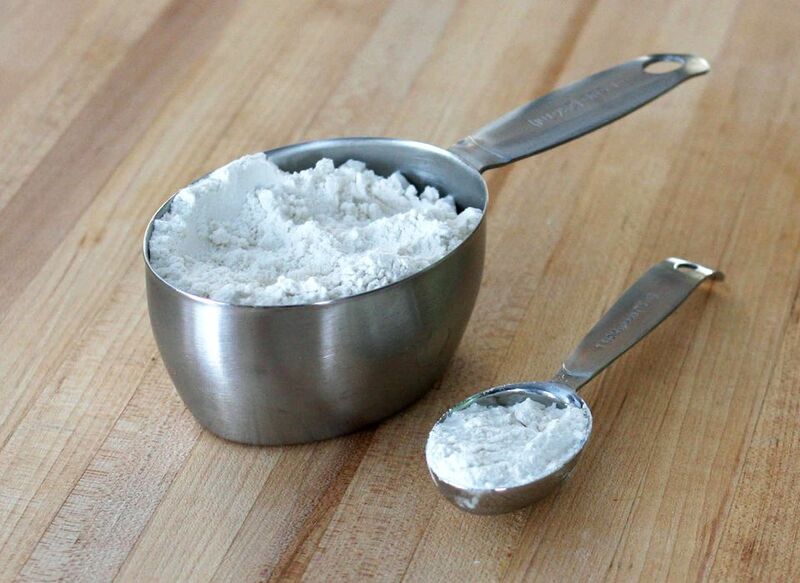 Dry measuring cups may not be as accurate and could make a difference in the outcome of a recipe, especially when baking.